Tax Planning: Should You Use The Standard Deduction or Not? With new tax rules now in effect, there is bound to be some confusion about whether people should use the standard deduction or opt for itemized deductions. After all, the most important part of tax planning is ensuring that you don’t pay more in taxes than you should have to. The question of taking the standard deduction versus itemized deductions has always been ongoing. 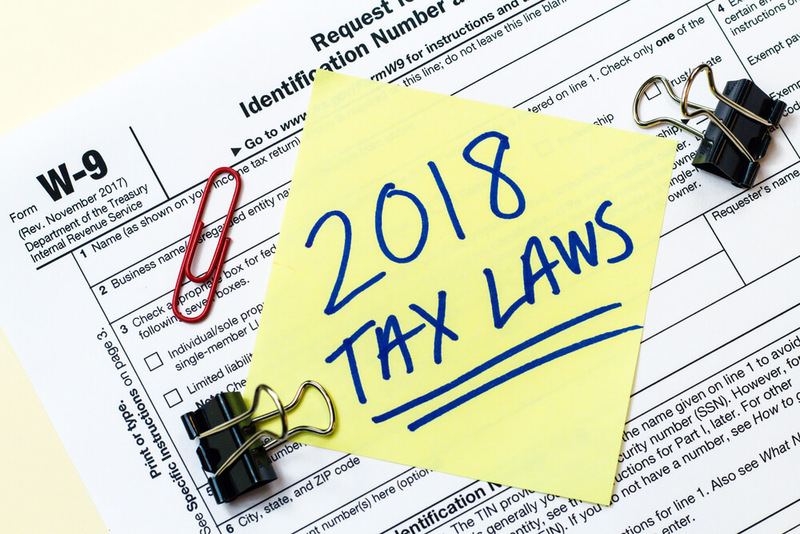 It’s safe to bet that the debate will heat up throughout the year after the new tax bill changed the standard deduction and removed some eligible itemized deductions. Just because you have done it one way in the past does not necessarily mean that is the correct way to do your tax planning for the future. So, should you use the standard deduction or look for more tax savings using itemized deductions? Let’s take a closer look. Do You Pay High State or Local Taxes? The most commonly used itemized deduction is the state and local taxes deduction that helps people in areas where they may be subject to higher taxation than other areas. These taxes could include property taxes, state income taxes, or sales taxes. However, you cannot deduct all of the above. This is one of the easiest itemized deductions to add to your tax return as most people pay some form of state or local tax. However, is it enough to justify not taking the standard deduction? Without adding other itemized deduction, the state and local tax deduction on its own is not enough to convince people to forego the standard deduction. Are You a Charitable Person? If you give money to churches or charities throughout the year then you may be eligible for an itemized deduction. This itemized deduction can make you feel even better about donating some of your money. The average American donates more than $5,500 per year to charity. That is a hefty sum of money and it may be a good idea to use that itemized deduction in combination with other deductions as part of a tax planning strategy to lower your total tax burden. Of course, much like the state and local taxes deduction, charitable donations alone cannot make up the difference when compared with the standard deduction. In addition to the state and local taxes deduction for things like property tax, homeowners are eligible to claim the interest paid on their mortgage as an itemized deduction. If you own a home, it may be worth looking into whether or not this deduction can help lower your total tax burden. The new tax bill does slightly change the way the mortgage interest deduction works. Now, homeowners can only claim interest on mortgage amounts up to $750,000. For most people, this still includes their home. Some people with mortgages above that amount may find that their itemized deduction is reduced. People who got their mortgage prior to December 15th, 2017 will still be able to claim interest under the old rules which include mortgages up to $1 million. This may seem like a nice deduction to include on your tax return but you must keep in mind that mortgage interest rates are low. Only recently have interest rates started to rise. The amount you can claim on your taxes using this itemized deduction may be less than you were hoping for. Do You Have Uninsured Medical Expenses? Uninsured medical expenses can put a strain on any family’s finances. The government has tried to soften this blow with the deduction for uninsured medical expenses. In addition, the deduction has been expanded under the new tax rules. People who spend more than 7.5% of their income on medical expenses out-of-pocket will be eligible to claim those expenses on their tax return. For families with limited insurance or difficult medical problems, this itemized deduction could help in a big way. However, medical expenses that do not exceed the 7.5% floor will not be eligible for the itemized deduction. It’s very important to track medical expenses as some missed expenses could change your ability to qualify for the deduction. Do You Have the Time and Patience? This is the big question when tax planning under the new tax rules. Do you have the time and patience to track your expenses? Do you keep receipts and compare the itemized deductions versus the increased standard deduction? This is what turns many people away from considering the potential of using itemized deductions. For some, even if the itemized deductions were to help them save more, the time spent calculating the difference is not worth it. If you do plan on considering taking advantage of itemized deductions under the new tax rules, make sure to hold onto every receipt and track every expense. Doing this throughout the year and staying organized will help avoid any stressful time crunches as the tax deadline looms. The other option of doing everything yourself if to consult a tax planning expert. At Mooney Lyons, we have experts that can work with you to help ensure that your tax burden is as low as possible. More importantly, our tax experts help you plan for now and into the future. Tax planning requires organization, research, and expertise. Get our team at Mooney Lyons working for you. Contact us today to learn more about our tax planning services and the other financial planning solutions we can provide.